Atentai aos Doces! — Happy Krampus everyone! Ex-Libris — Branding project for a region in Portugal, Pessegueiro Island. Canned Peach — wip for an imaginary brand of canned peach from the south of Portugal. cosmvs — personal logo for a portfolio blog. 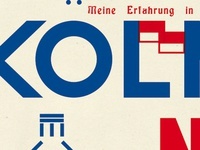 KOELN 2012 — Some experiments for a personal poster about Koeln, in Germany. 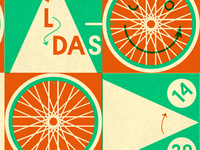 Ofélia Masks — Main image for a theater festival in Portugal, with Bruno Reis Santos.